No truer words were ever spoken for in a five-year span (1962 thru 1966), Hall of Fame southpaw Sandy Koufax won 111 games, struck out 1,444 batters (289 per season) and compiled a microscopic 1.95 E.R.A while tossing an incredible four no-hitters! Those imposing statistics are a fitting testament to his arguable stature as our National Pastime's greatest "peak-value" pitcher who ever toed a rubber. 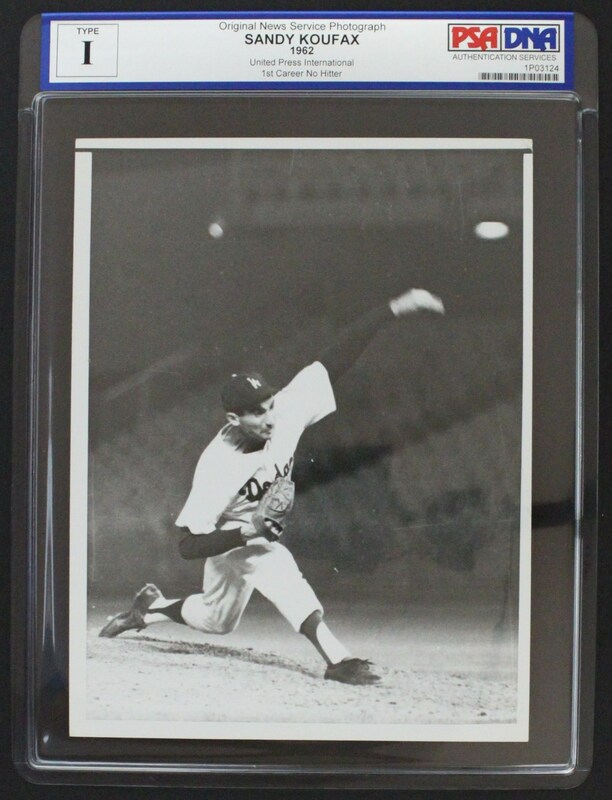 This brilliant 1962 United Press International 7" x 9" Photo portrays the majestic Koufax releasing one of his overpowering pitches during the first of his four no-hitters on June 30, 1962 against the overmatched N.Y. Mets at Dodger Stadium. 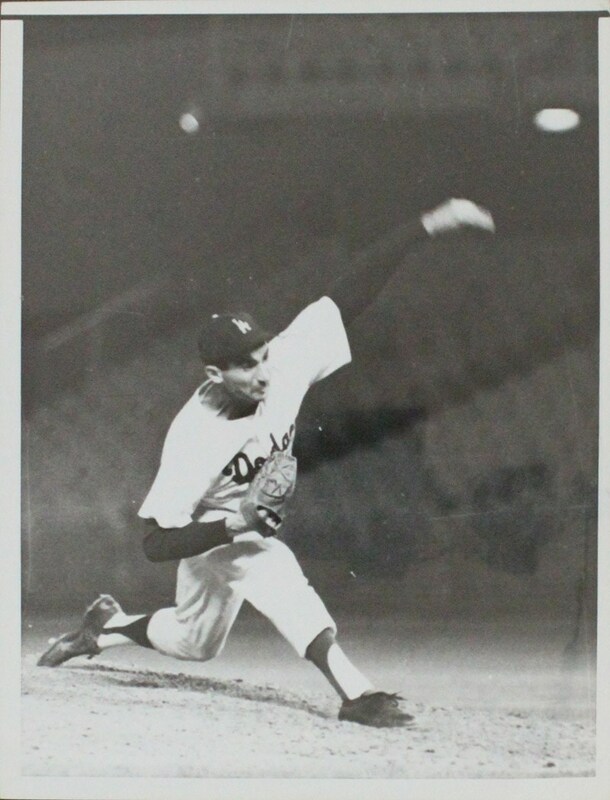 Koufax would strike out 13 batters that magical day as the Dodgers bested the Metropolitans by a 5-0 score, and you can literally feel Sandy's intensity as he unleashes one of his virtual un-hittable pitches.